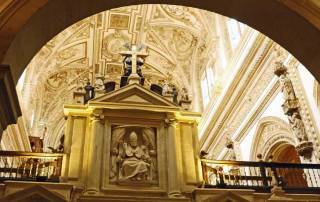 Our Gate 1 Travel tour of Portugal and Spain on Day 2 repositioned from Lisbon to Seville for the Seville Cordoba Ronda tour. The comfort of the bus and the access to wifi made for easy traveling, which made the day extremely pleasant. The Meliá Lebreros was home for the next two nights. 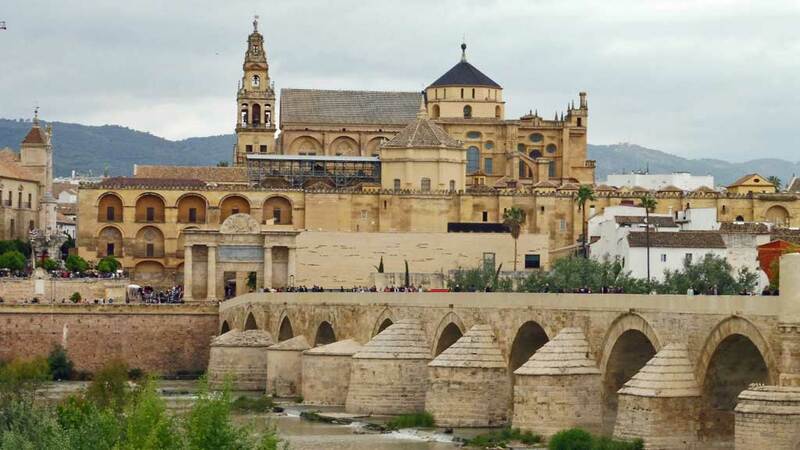 Our Seville Cordoba Ronda Tour started in Seville. It happened to be on the date of the April Fair. Locals camp at the fair grounds and party late into the night. In the morning, the streets were full of horse drawn carriages transporting men in fancy suits and women in brightly colored dresses. 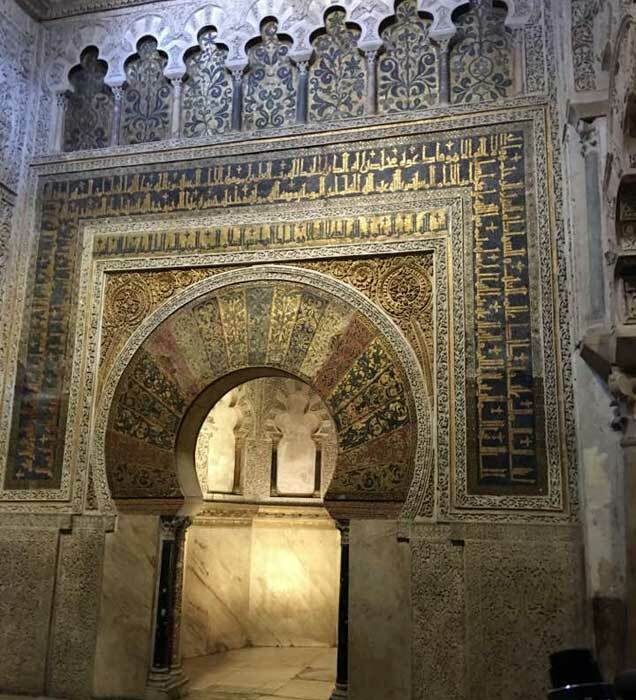 The cathedral was closed that morning, so we visited the alcoves of the Plaza de España and the palace and gardens of the Royal Alcázar (Moorish Castle). 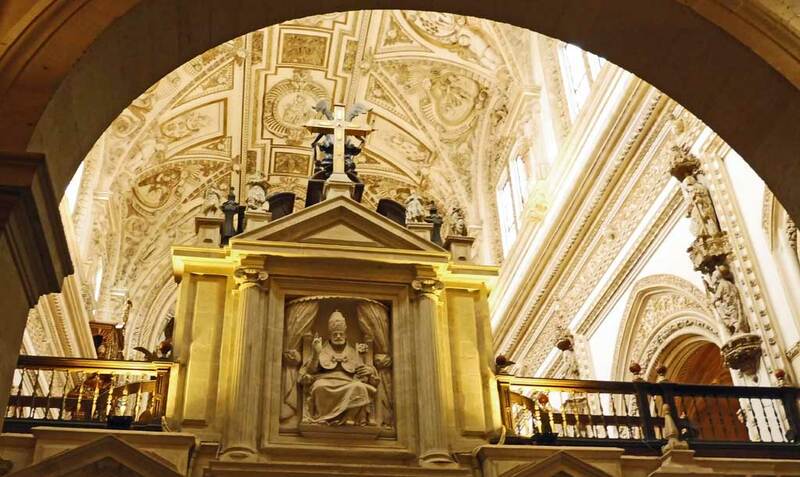 By noon, half of the Seville Cathedral was opened to the public and we caught a glimpse of the statue of Christopher Columbus. The traditional Spanish dress of Spring Fair made this stop unique, but Seville also has an unusual permanent display. The half size statute of a native America on horseback and wearing full head dress was provided by Seville’s sister city of Kansas City. 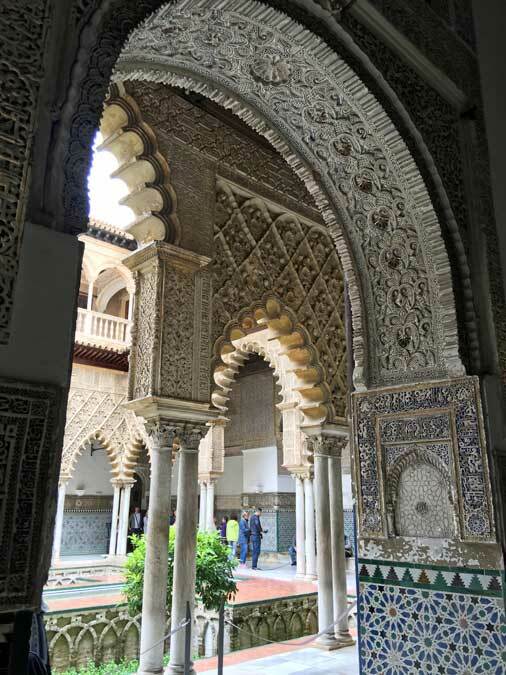 Meanwhile Seville constructed a half size copy of the Giralda tower minaret and bell tower. 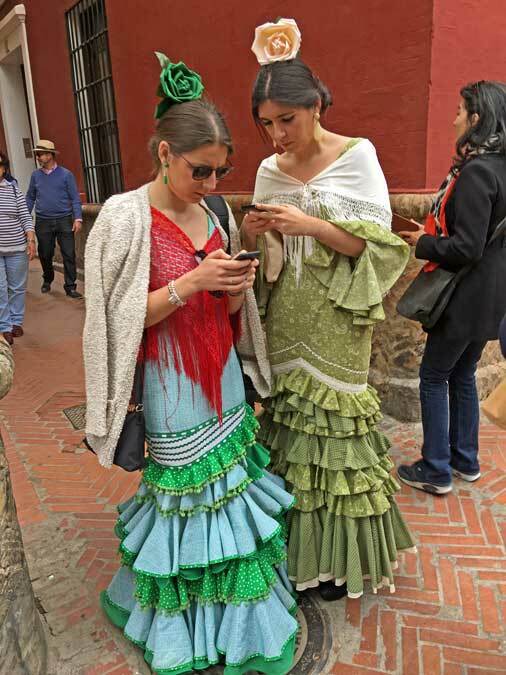 Seville came out on the short end in that exchange. 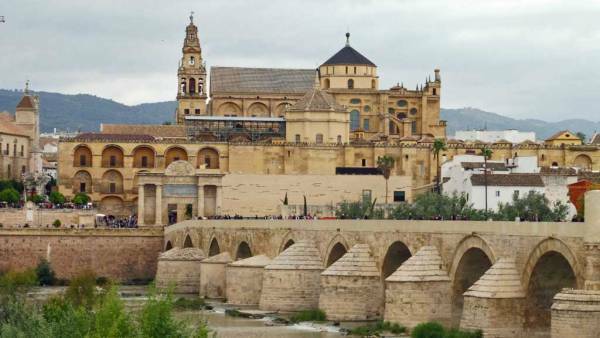 The Seville Cordoba Ronda Tour to Córdoba in the afternoon was excellent. 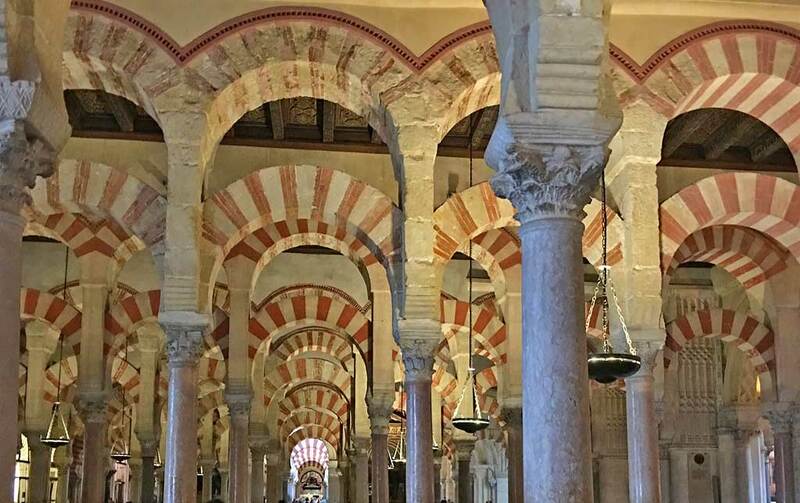 The ancient mosque / basilica of Córdoba was an astonishing. 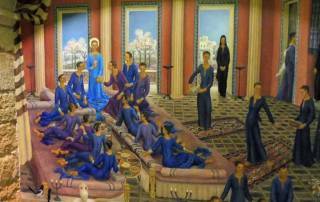 The ancient building is a tribute to the ability of different religions to coexist peacefully. 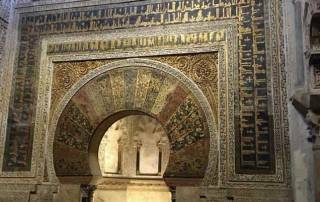 The Moorish structure has an active altar facing Mecca. 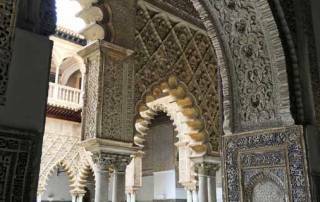 The original Islamic building has an entire Christian church built completely inside it. 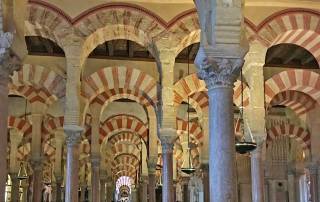 You wander through the Moorish columns and suddenly, without passing through a door, you are in the church instead. Our bus driver said to be thankful for the cool, cloudy weather, because in summer it is often 120 F in Córdoba. 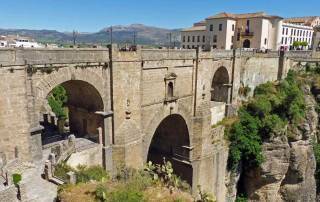 Our Gate 1 Travel tour continued on Day 4 by traveling to Ronda. A breeding ranch for bulls, used in bull fighting, was the first stop on our route. 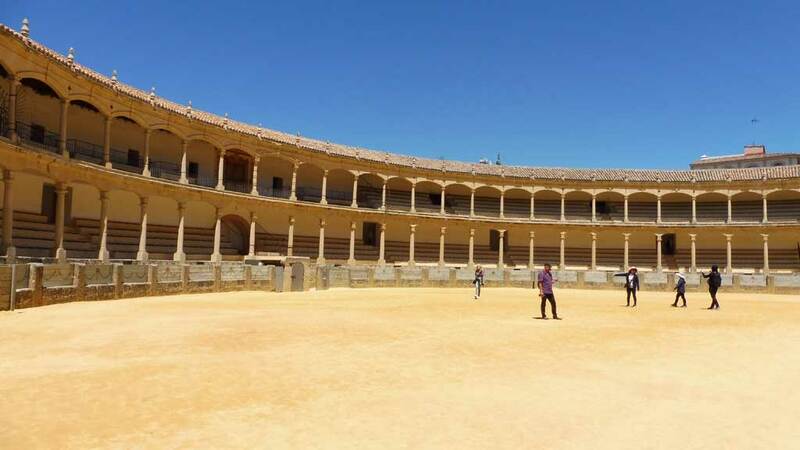 Although I’m not a supporter of bull fighting, the breeding ranch staff did a good job of explaining the relevance of bull fighting in Spain. The fact that a bull can only fight once in the ring was particularly interesting to learn. 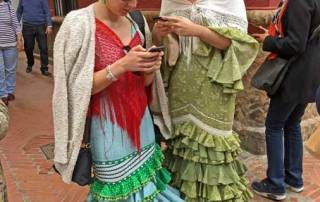 The second time, a bull will know that the matador is the prime target, not the cape. 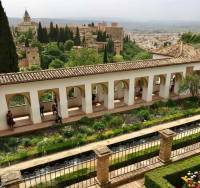 Ronda was a very pleasant small town, but it was over run with tourists. 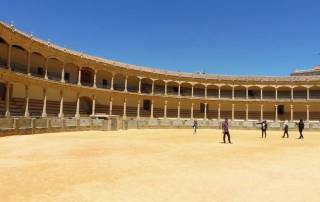 Our group walked from the Ronda bus depot to the bull ring for a tour inside it. Then we walked the main street, full of shops catering to tourists. 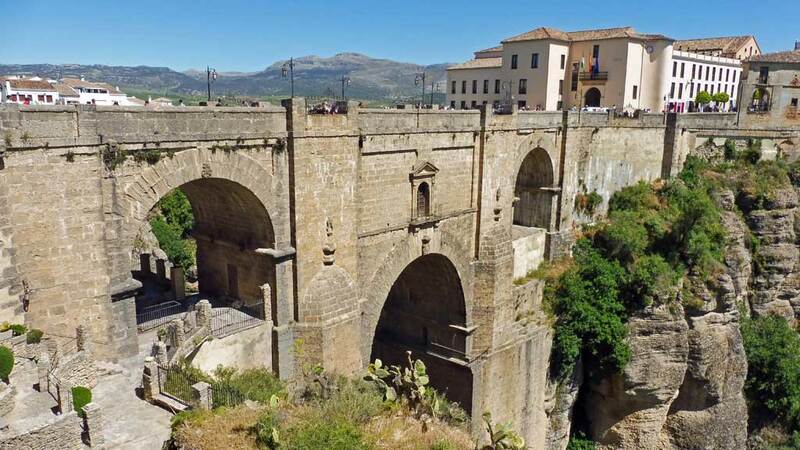 The famous Puente Nuevo bridge over the narrow canyon that divides the town was our next tour destination. The view of the bridge spanning the gorge is an iconic photo stop, which was very popular with the crowds. 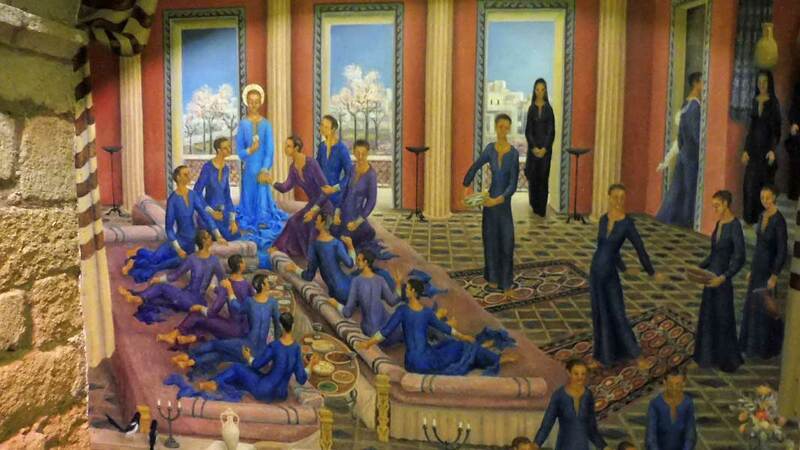 On the other side, the St Mary Major Parish provided an interesting mural, which portrays Christ and his 12 female disciples. 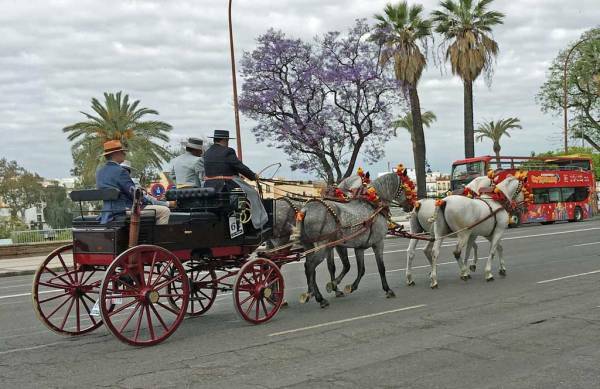 A bus ride to the Meliá Costa del Sol hotel in Torremolinos was next. 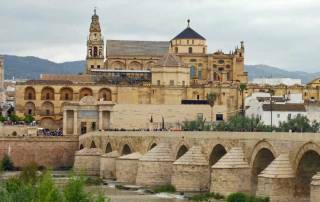 This completed our day and the Seville Cordoba Ronda segment of the tour.